Every year, a slew of brand new kosher products hit the market in preparation for the huge sale that has become the Pesach ready-made industry. 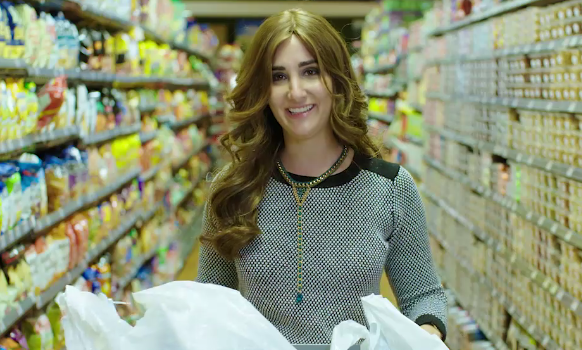 Although some communities make all their own food, including the treats, most of us both rely on and enjoy the myriad of items now available at kosher markets. 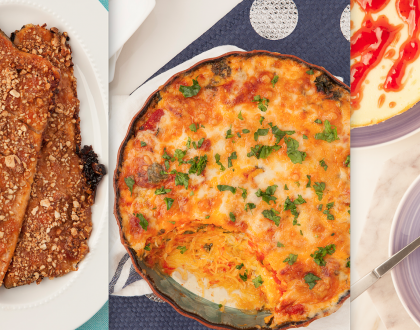 Here are some new products for Pesach 2019 to make your Passover delicious! 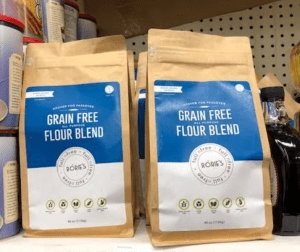 Rorie’s gluten free flour blends are not only easy to use, they produce fluffy breads that make for delicious Shabbos challah, sandwiches, toast and more. Her new blend of almond, coconut and arrowroot flours produces a bread that looks good enough to make all year! Let’s just call these what they are: gluten-free, parve Milano cookies, just like Pepperidge Farm makes. 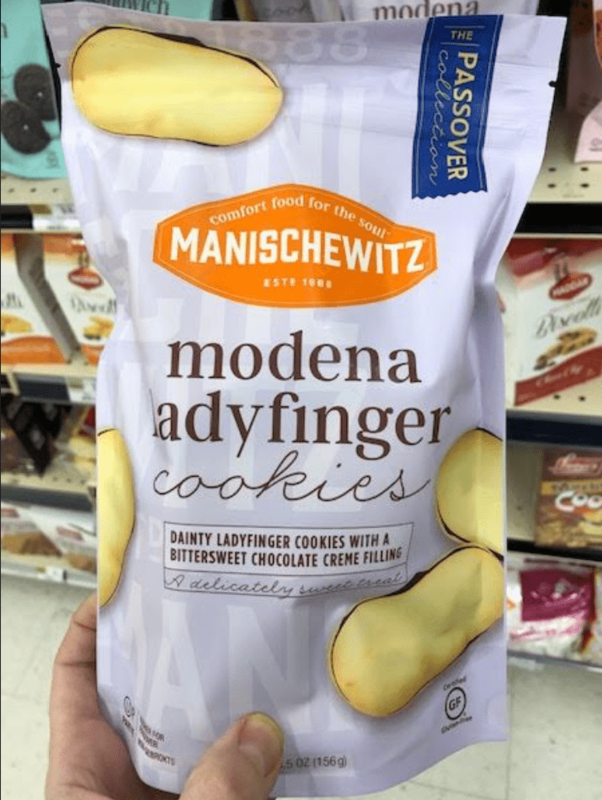 Their new line also includes Kosher for Pesach Oreo-style sandwich cookies and cream filled ones too. 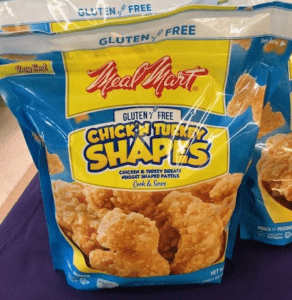 We might have to partake of these now and get another bag (or three) when Pesach actually arrives. We’re always looking for easy to schlep food for our Chol HaMoed outings and picnics, so it’s refreshing to see options that aren’t limited to bags of potato chips! 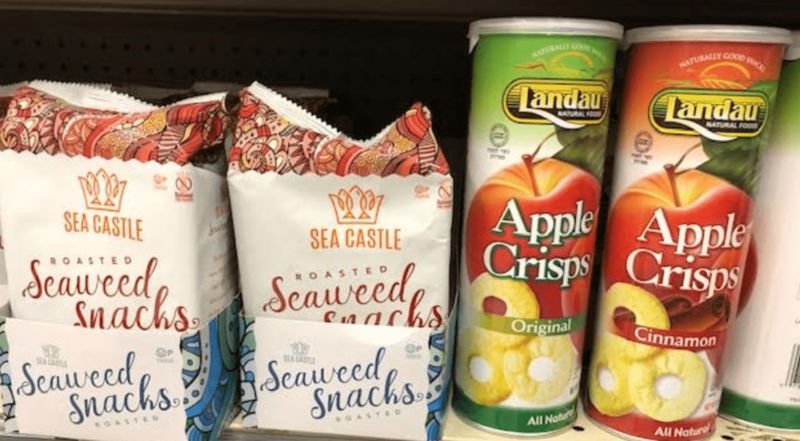 The seaweed snacks have just the right amount of salt and also come in a spicy variety. The apple chips are so addictive, the kids will ask for their own can each. 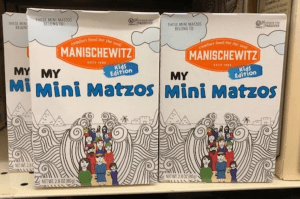 Matzah box meets coloring book! 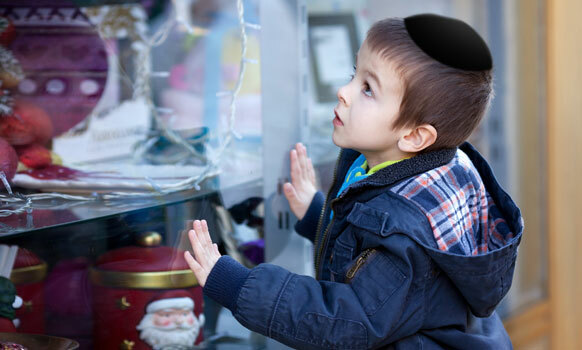 With the boxes of hand matzah stacked up high, little ones will delight in a pack of matzah just for them. 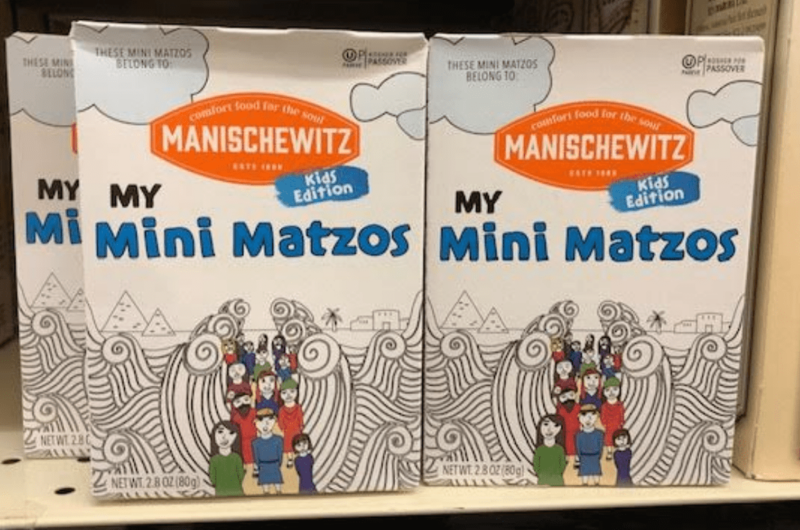 With a cover they can color in and customize, these pint-size matzos are sure to be a hit with the littlest guests at your seder. 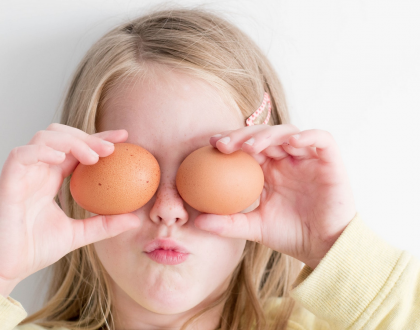 Do your kids subsist on chicken nuggets all year long like ours do? 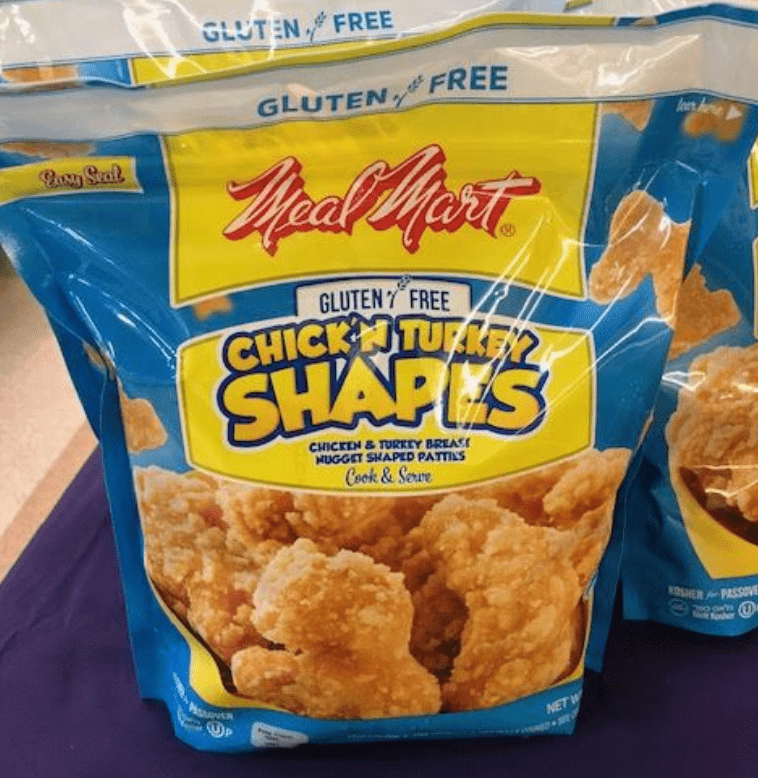 These cute shapes are a boon to families with Celiac as well as Pesach shoppers. 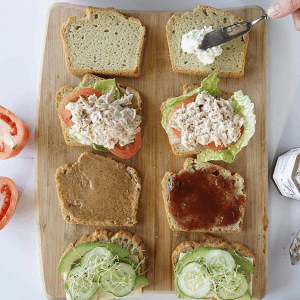 This will make an easy lunch on erev Pesach, and during Chol HaMoed after a long day of fun activities additionally. 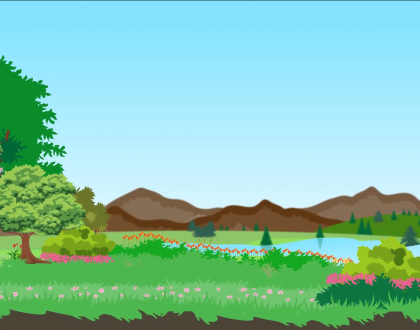 Do you have a child whose birthday falls out either while you’re in the midst of turning over, or else during the holiday? 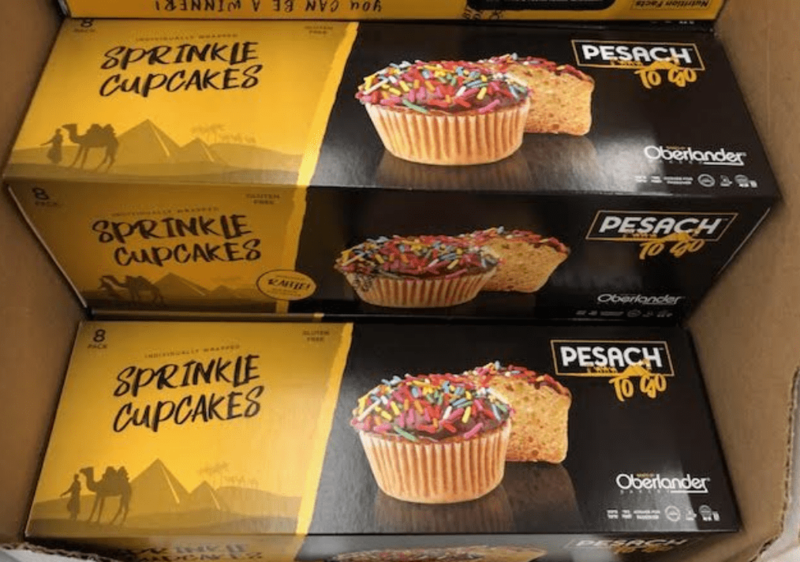 Now you can celebrate them, bakery-style with these authentic cupcakes, complete with frosting and sprinkles. 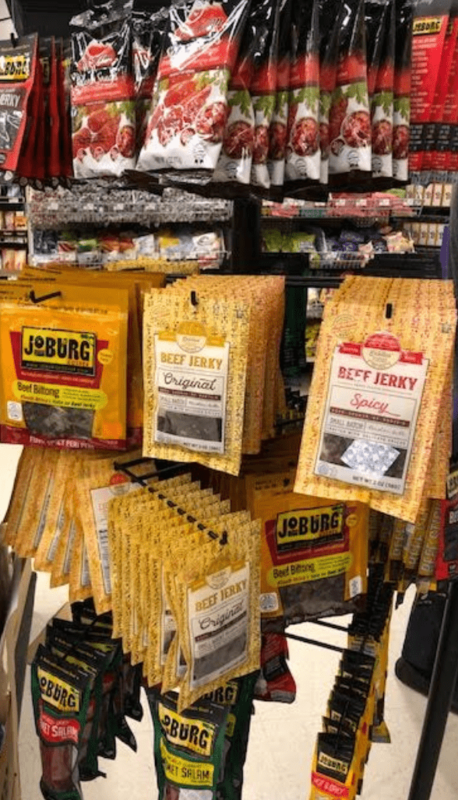 While some brands of dried meat have always been Kosher for Passover, this year, there are many more who have become certified. The South African delicacy biltong now joins the pack as there is a protein-filled power snack for the Paleo-keepers, meat-lovers and active folks on your guest list. 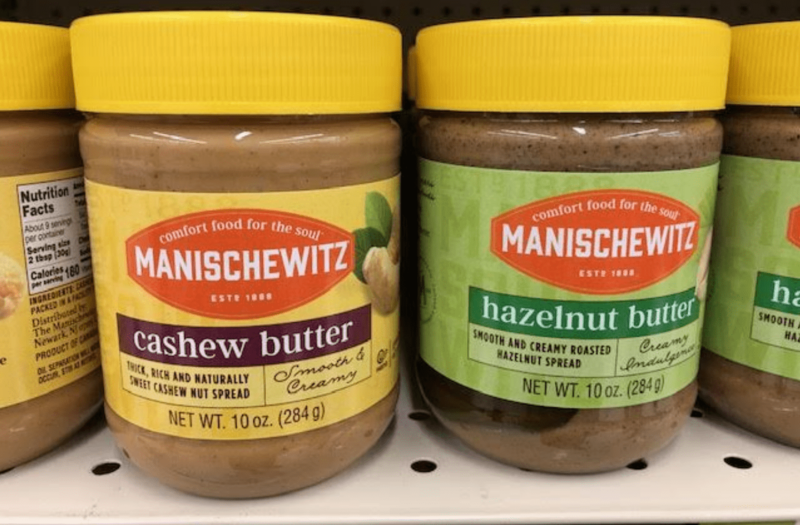 Almond butter is everyone’s favorite peanut butter substitute for Pesach, but now varieties are available in creamy cashew and hazelnut butter as well. Try them in cookies, spread them on Matzah with dates and honey, or blend them into a smoothie with frozen fruit for a delicious way to start your Chol HaMoed day.